Marley's Ghost is nothing less than a national treasure, the capable inheritors of the archetypal Americana blueprint drawn up by The Band. For one night only during Ashkenaz's Black History Month celebration, six legendary Bay Area musicians will come together under the direction of Anita Lofton to bring you a tribute to rock-and-roll pioneer Big Mama Thorton. Big Mama Thornton's songwriting and vocals in the 1940s and 50s paved the way for rock and roll as we know it, with hits at the core of American music such as “Hound Dog” and “Ball and Chain”. More than 30 years after her passing, The Anita Lofton Project and Guests take the Ashkenaz stage to perform a special night of music influenced by Big Mama Thornton, including covers and original songs, as homage to her legacy. Big Mama Thornton's songwriting and vocals in the 1940s and 50s paved the way for rock and roll as we know it, with hits at the core of American music such as “Hound Dog” and “Ball and Chain”. More than 30 years after her passing, The Anita Lofton Project and Guests take the Ashkenaz stage to perform a special night of music influenced by Big Mama Thornton, including covers and original songs, as homage to her legacy. Anita Lofton Project: The move an artist makes from punk beginnings to more complicated crafts is fascinating to hear. Anita Lofton makes the trek with the Anita Lofton Project. The talented guitarist and singer-songwriter of the punk trio Sistas in the Pit, toured China and Europe, and took an infamous national tour supporting a certain James “Iggy Pop” Osterberg and the Stooges during that band's reunion in 2007. The Anita Lofton Project was established over 8 years ago, illustrating an energy and Bay Area based bounty of styles, and rich instrumentation that stretches from current day fascinations to vintage rhythm & blues rock traditions. Special Guests: Kofy Brown from The Kofy Brown Band, Kevin Carnes from the Broun Fellinis, Sandy House from Afrofunk Experience, Bryan Dean from A Band Called Pain, and Brian Hill from 4 Now. Kofy Brown has been in performing for over 20 years, touring worldwide with her uncompromising stage show, winning national audiences in Europe, Canada and the United states. Kofy Brown has thrived by following her own creative path. She and her band the KBB have developed a reputation for putting on an outstanding live show. Her music is a soulful combination of funk, rock, blues and hip-hop topped off with a singing and rap style she calls word song. 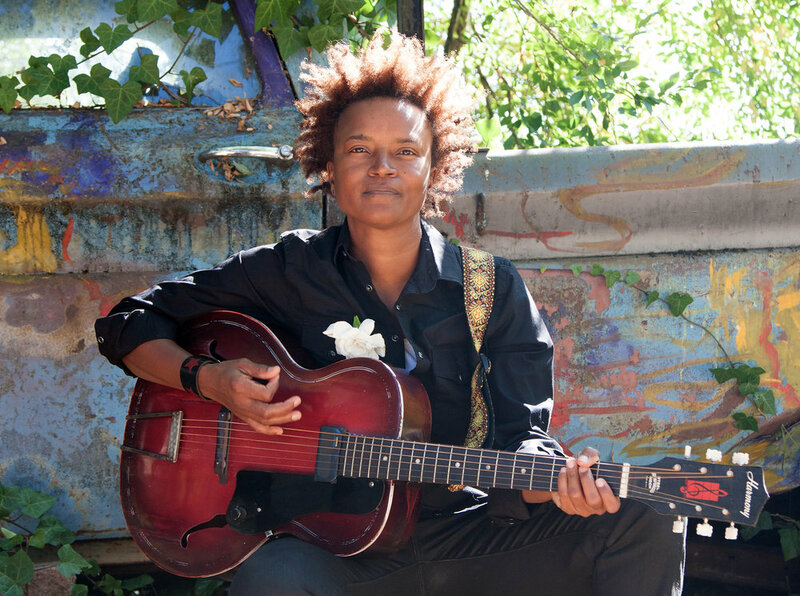 Kofy Brown is co-creator /bass player and one of the lead songwriters and vocalist in the legendary all black girl rock trio Sistas in the Pit. Kofy Brown is also currently playing drums and vocalizing with her latest project, Skip the Needle. Skip the Needle is comprised of veteran vocalists and musicians, Vicki Randle, Shelley Doty and Katie Colepits. The four women deliver a hard edge blend of soul, funk, rock and more. Kofy Brown is a fiercely independent recording artist and authentic talent who is based in Oakland CA, the Washington DC native has released eight full length recordings; Live & Delicious 1995, Hungry 1997 Skinny & Tight 1999, Area 32 2001, Love Warrior 2005, Stompin at the Paard – Live in The Netherlands 2006, The Mecca Sessions – Live in San Francisco 2006 and Soul Rock 20008 on her own indie label Simba Music. Sandy House has always had a love for singing since she was a child. She has been singing professionally since high school. Sandy joined the Wade Love band in 2005 and has opened for well known acts including Earth Wind and Fire, Gladys Knight, the Gap Band and many more. 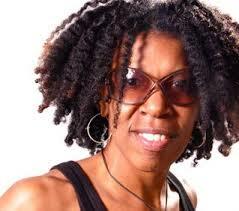 She also joined the Afrofunk Experience in 2009 as the lead/female vocalist/song writer. Sandy is also involved in projects with her husband, Ken House, with her debut album scheduled to be released mid 2018.